Hello potential pupils! 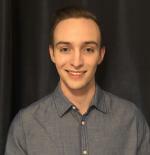 My name is Brett, I'm a 21 year old student having just recently finished my third year of studies at University of Calgary, majoring in Astrophysics. Courses I've taken since I've began my studies at UofC include calculus, linear algebra, classical mechanics, modern physics, optics, computer science and philosophy. I've always had a good ability to work with numbers, and a profound fascination for the mysteries of the universe! In my first few years of university, I began tutoring my younger brother and his friends who were now in high school. Subjects I was able to provide the most help with included math, physics, L.A and social studies. In some cases, I was able to bring test scores from 50%-60%, all the way up to 80%-90%! Seeing someone succeed from the information I was able to pass on to them is an incredible feeling! In addition to tutoring my younger brother and his friends in university, I have also participated as the assistant head coach and head defensive coach of the Bow Valley Midget (15-17 year olds) division 1 hockey team for the past two years. Working with this age group helped me develop a good understanding of how to connect with youth. In addition to coaching, I myself have participated in hockey, baseball, and lacrosse all at competitive levels during my childhood. Every individual learns differently. An example that might help one person understand something, might not necessarily work for another. I believe that a large portion of the success I have created in those that I have tutored is due to my ability to cater to the individuals learning methods. The more I work with an individual, the more I get to understand how they learn. By showing how a single problem can be looked at in a variety of ways, there will always be a perspective that makes sense to the student. It just might not be the perspective they are getting taught in school! "Brett has been very beneficial for our son in math. He is very clear discussing concepts, does not rush through the material and ensures our son understands everything before moving on; he explains the material in a matter thatbis easy to comprehend. We will continue calling upon Brett for his help & highly recommend him. " "Exceptional- best tutor we’ve ever had (8 years of tutor history). " "Brett has been working with my nine year old son for the past couple of weeks. I could not be more pleased with his tutoring. My son has a renewed interested in math (Grade 4) and Brett helps to instill confidence and motivate my son to practice his math regularly. He easily built a relationship and shows genuine compassion for the work he is doing. I will continue to book Brett to work with my son and would recommend him to anyone looking for a tutor! " "He is great! My daughter is doing well and is confident going into class and exams now." "Brett is very patient, has an Individual approach, and a positive attitude. Always on time, and ready to help, very easy going, intelligent and kind. I would highly recommend him. Thanks Brett. " "It's only been a couple sessions, but we can already tell that our son is starting to read and write better. He is starting to focus on what the goal is, rather than fight his way through reading. Thank you Brett for all your help"